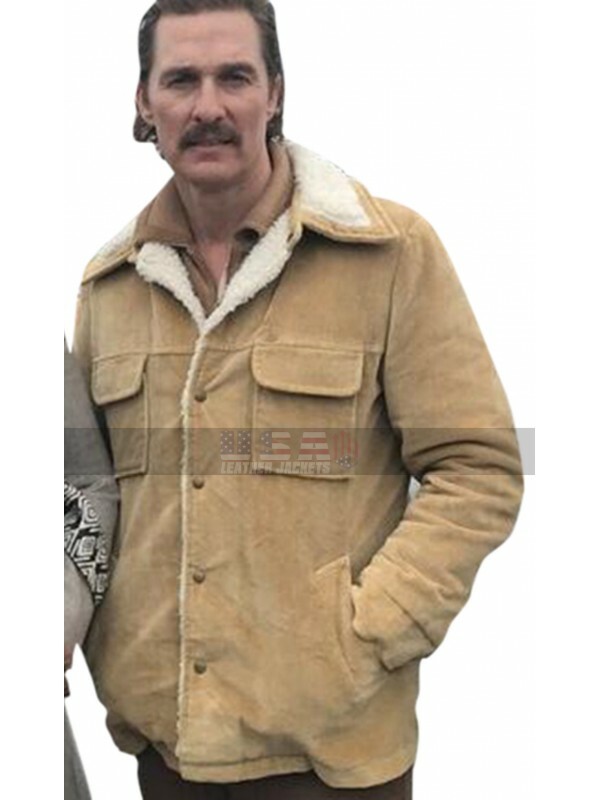 Capture a heartwarming outerwear finished in a premium grade luxurious corduroy material. It has been inspired from the American biographical crime drama film “White Boy Rick” worn by the dashing American actor Matthew McConaughey as Richard Wershe Sr. 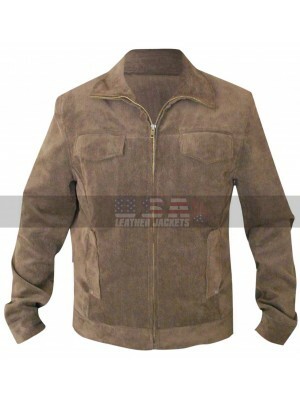 It is a winter perfect jacket that uses the best quality material for a lavish style finish. The inner has been made snug and comfy with a soft and warm shearling lining. The front is embellished with a profoundly stylish front buttoned closure. 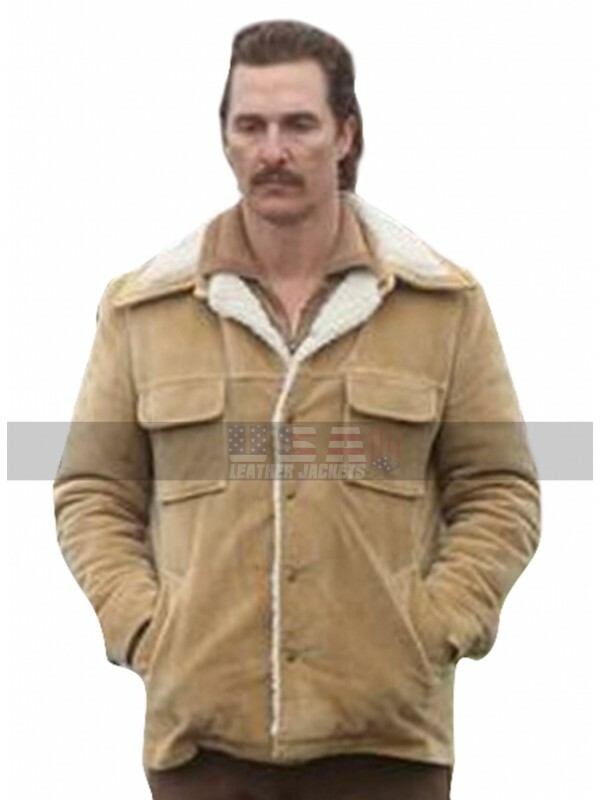 With a plush and warm turn down shearling collar, Matthew McConaughey White Boy Rick Fur Shearling Corduroy Jacket counts best as a comfortable winter wear. 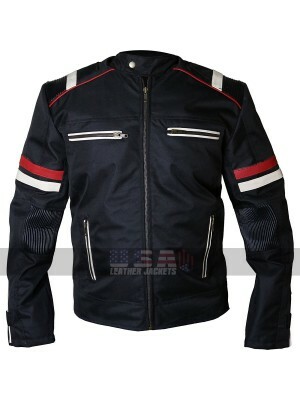 The jacket carries long length sleeves with a spacious provision of layering with open hem cuffs. The two flapped chest pockets and two slanted waist pockets provide desirable practicality and apparent charm. For those chilly winter days, it works to be an ideal style ensemble that goes pretty well with medium weight under layers and warm trousers. Grab it now! 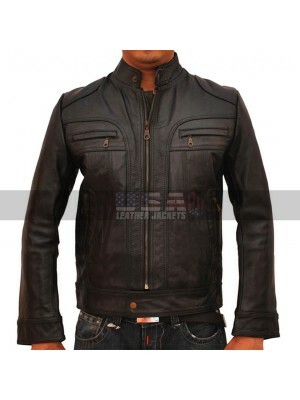 Well, this is indeed an exclusively designed jacket based on..
Don yourself into a sleek and sharp outlook wearing this lux..
Luxuriously soft and irresistibly cool this black leather ja..